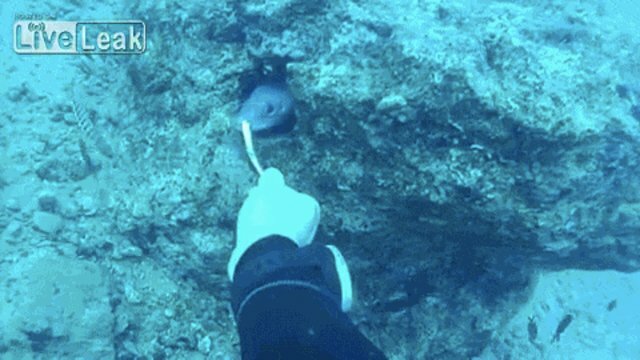 For many, a lifelong fondness for animals begins with a connection to a cat or dog, but a video showing a diver's daily feeding ritual with a sick conger proves the relationship between man and eel can be just as tender. "This sea snake that you see is called Conger conger - it is sick and I every day [sic] the port of small fish stuffed with medicines," wrote LiveLeak user veliferum, who uploaded the footage on Tuesday. 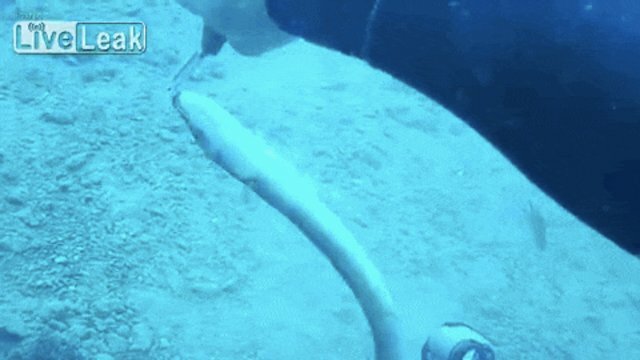 In other videos, the Italy-based diver documents his efforts to rescue fish who have swallowed abandoned fishing line and nets. "[L]uckily I was able to free him" the good Samaritan says of one video featuring a familiar-looking eel.